HAVE YOU EVER sat through a symphony concert and asked yourself, “How do they make such beautiful music together?” Just imagine all of those different instruments and musicians, each with their own will to play at their best alone but as an ensemble, so dependent on how each section plays well together. How do you manage the risk of one player missing their entrance? What if a player in your section does not know the score or come prepared for a performance as well as the player sitting next to him or her? How do you stay on top of all of these unknowns, yet still manage to keep it all together in order to perform at the highest level for a paying patron? Imagine if you were the conductor and you had a mechanism or tool at your disposal to help you navigate the unknowns and to help ensure you balanced your risks to ensure your reward was a brilliant performance. 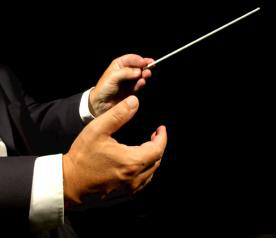 Conductors have been following the principles of Enterprise Risk Management (ERM) for a very long time. Does this seem like a bit of stretch?